I have always been fascinated by time travel stories in which time travel cannot create reality-altering paradoxes (e.g. To Say Nothing of the Dog by Connie Willis). 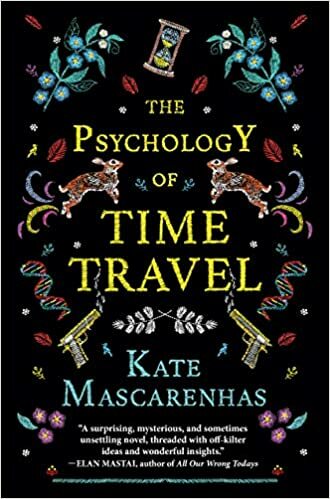 As this book’s title suggests, it explores what kind of psychological effect this sort of time travel might have on people. The author does so with a degree of thoughtfulness and complexity that I don’t think I have seen before in time travel sci-fi. Topics explored include crime & punishment, romance, mental illness, bullying, fate/fatalism, and especially the fear of death. What makes the plot great isn’t the solution of the mystery (the “whodunnit to whom?” is obvious well before the end). Rather, the fun is in watching the characters figure it out and seeing how the three different story arcs (starting in 1967, 2017, and 2018) fit together. The actual narration of the story was a bit flat (e.g. sometimes something momentous would happen and it would be stated so blandly that I would have to go back and reread to make sure I read correctly), but the plotting and worldbuilding more than made up for it. To me, the characters seemed a bit contrived to check as many “strong, diverse female character” boxes as possible (e.g. black, immigrant, lesbian, mentally ill, aristocratic…). All the primary and secondary characters are women with a handful of men putting in very brief whiny, overprotective, or leering appearances. Though it felt a bit overplayed, if you are looking for sci-fi with strong female characters, this is it. Overall, the plotting, worldbuilding, and psychology mostly made up for any bits that felt flat or contrived. Agree! I really loved the plotting and the psychology in this book, but the actual narration was off. Pity about the contrived characters. But I’m glad the plotting, world building and psychology made up for it!